The Wireless GSM 3G RTU(Remote Terminal Unit) S280 is a cost effective remote terminal unit. It inbuilt quad band GSM/GPRS module (Or WCDMA/CDMA2000) , ISM Band 433Mhz Radio Frequency module, and ARM® Cortex™ 32 Bit RISC Core. It is a multi Isolation I/O port remote terminal unit and wireless data acquisition system. 5Km, plus WT-02 Wireless repeaters can increase the wireless distance. The Wireless GSM 3G RTU S280 equips 4 digital inputs, 2 solid relay outputs, power status detection moulde, and onsite temperature and humidity inputs. All of the inputs and outputs are isolation. The Wireless GSM 3G RTU S280 can be used as Wireless SMS Alarm, when the equipped I/O or 400 distributed I/O alarm occurrence, it also can send pre-definition SMS to up to 10 mobile phone users. The Wireless GSM 3G RTU S280 is suitable for lots of applications, e.g. 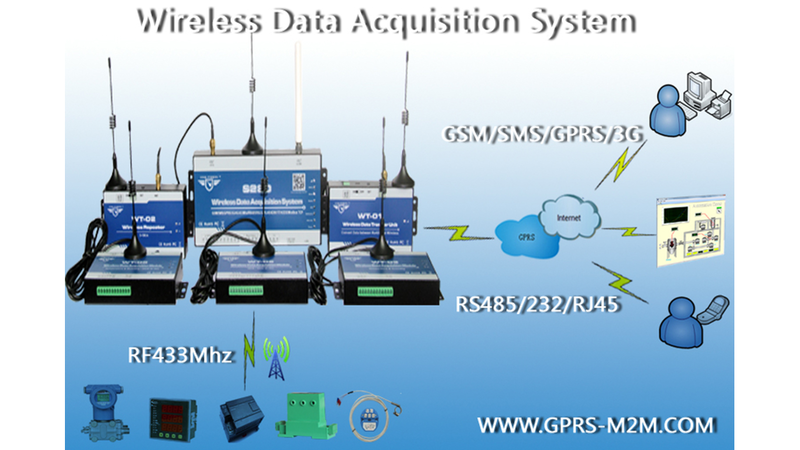 : Wireless data logging, BTS monitoring, remote data acquisition, telemetrically, farm, energy saving, agriculture, automatically meter reading system, weather station, storage, factory and other applications. The Wireless GSM 3G RTU S280 supports Modbus RTU Slave, Modbus TCP, TCP/UDP, SMS and data transparent transmission protocol through RS232/RS485/GSM/SMS/GPRS/3G./Ethernet.